Downloading music, trying new apps and snapping photos on your iPhone have the potential to deliver hours of entertainment for you. However, you might realize that fun comes along with a cost. The designers at Apple have not added a dedicated storage space on iPhone iOS 12. If you have a 16GB iPhone, you will come across these storage issues within a short period of time. Even though cloud services are available, you will not be able to get the maximum efficiency out of them. If you are having storage issues on your iPhone, you don’t need to worry about anything. How to release storage on iPhone? Here is a list of five useful solutions to release more storage space on iPhone. 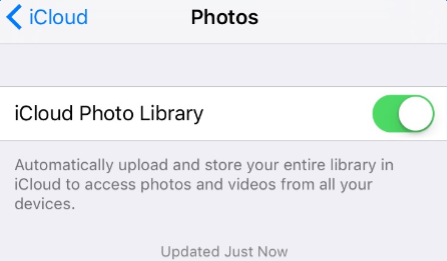 Even though photos, videos and images are some obvious culprits behind eat up of free storage space in your iPhone iOS 12, your quick messages have the ability to take at least few hundreds MBs if you don’t be careful. If you are a person who receives a lot of multimedia messages with videos and photos, the data allocated for text messages can quickly get filled. Therefore, you can think about dumping all the conversations that are not crucial for you. Our iPhone is equipped with an impressive camera. Therefore, the photos and videos you capture can easily fill up the free storage space of your device. One of the effective ways by which you can get back some of your iPhone storage is through backing up your photos and videos on your PC or iCloud. 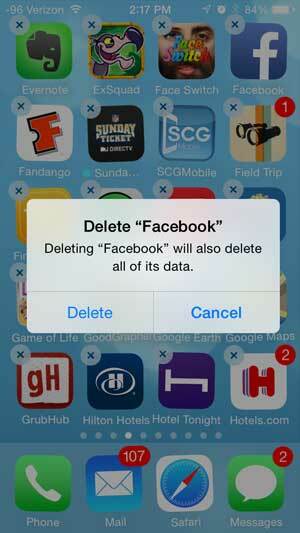 By doing this, you PC or iCloud will become your secondary picture and video storage space. You can retrieve your photos and videos whenever the need arises from your PC. This will help you release much storage on iPhone. Most iPhone users will download apps that they need for just a moment and would leave it behind on their devices after use. You might use Twitter, Flipboard and Facebook on a daily basis. When was the last time that you used the silly face swapping application in your device? Some users are most likely to leave completed games on their iPod without ever playing them again. Well, these applications have the ability to acquire several megabytes of valuable storage space on your iPhone iOS 12. You need to sit back and remove all the applications that you rarely use. 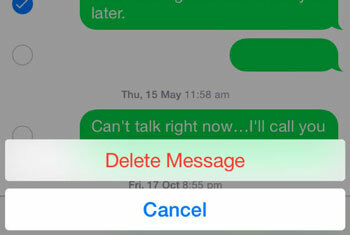 This will assist you to release storage on iPhone in an effective manner. 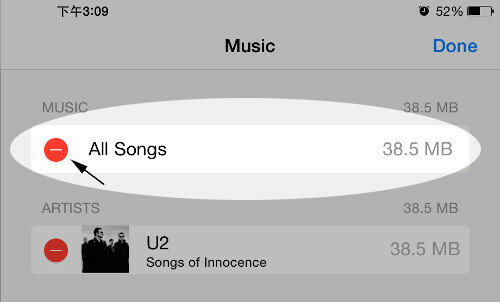 If you are a music lover, your iPhone will be filled with hundreds of songs. Why do you want to use your iPhone as a MP3 player, when you have much other functionality? 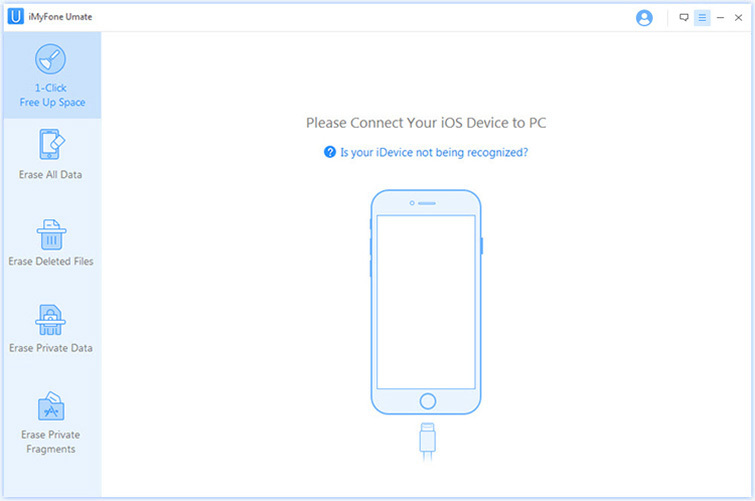 Obviously you will not have enough space on the device when you try to download the entire iTunes library to your device. In order to get rid of this hassle, release storage on iPhone effectively by eliminating music files and albums from your iPod. You can delete all the music files from your iPhone and play the tracks you need through iTunes. Or else, you can simply use YouTube to listen to music. You can also think about using an application iMyFone Umate Pro or iMyFone Umate Pro for Mac to release storage on iPhone. This program can easily be installed on your PC/Mac. 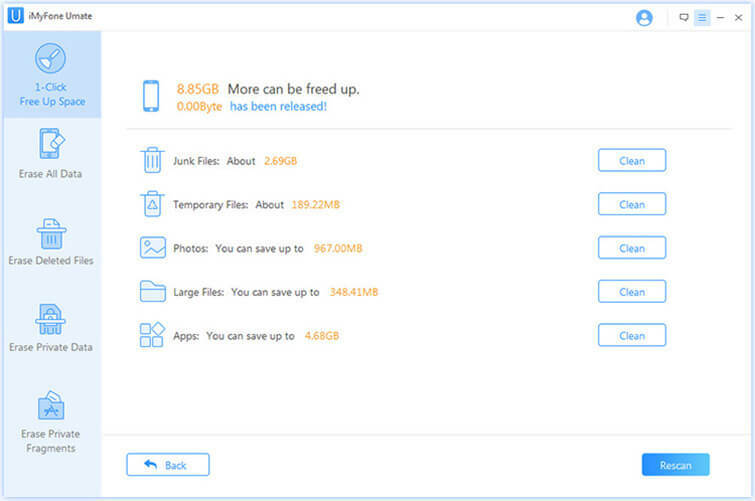 To do it, you should connect your iPhone to computer and use iMyFone Umate dashboard to clean storage space. With over 25 analysis technology, this app will assist you to get more space on the device through a variety of methods. They include cleaning the various junk files, clearing temporary files, compressing and deleting photos, deleting large files, managing apps etc. It will help you to get more space on the device within a couple of minutes. Clear up 30+ hidden Junk files: App caches, crash logs, cookies, corrupted files etc. Install this program, run it, and then connect your iPhone via a cable. 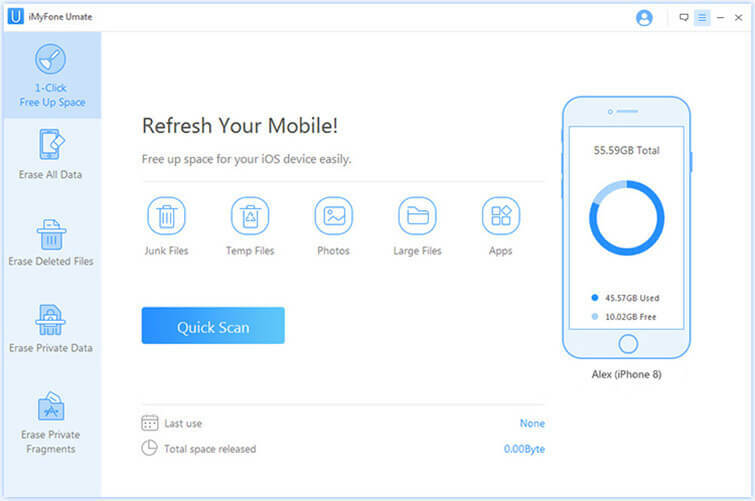 Click “Quick Scan” that will analyze how much space will be available for cleaning your iPhone. As you can see, using iMyFone Umate can be considered as the most convenient method available to release storage on iPhone out of the above mentioned options. It is a straightforward method, whereas others are not.